It didn’t feel like it at the time, but one of the worst moments of Raymond Felton’s career turned out to be a precursor to setting up his second act as a professional. Once an every-night starting point guard, Felton has transitioned into a reserve, bolstering the Thunder’s bench unit with an attitude that carries the torch that is lit by starter Russell Westbrook each night. Through the first nine years of his career, even including his rookie season in Charlotte, the highly touted point guard from the University of North Carolina had never started fewer than 54 games in a season. That all changed in his first year as a Dallas Maverick in 2014, when Felton got injured with an ankle sprain against Oklahoma City in the preseason. That year, in a log-jammed backcourt, Felton played in just 29 games. He would go home to his empty house, unleashing the frustration by shouting and screaming into the void that not playing gashed open. He had to adjust. He had to change. 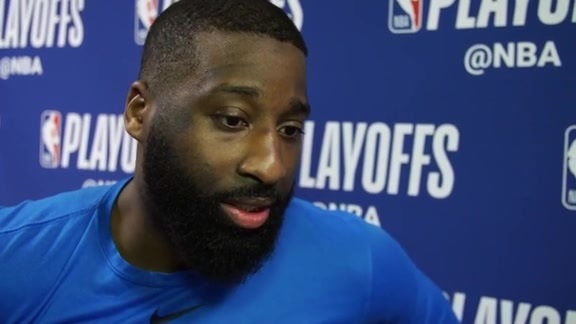 Into his 30’s, his recognition of who he was as a player became clear, and over the past three seasons he’s been one of the most reliable reserve point guards in the league. Felton has played all but 4 games over the past three years, for the Mavericks, then the LA Clippers and then the Thunder. This July, the 34-year old Felton re-upped with the Thunder for another run to play behind, and sometimes alongside, Westbrook and newcomer Dennis Schröder in OKC. 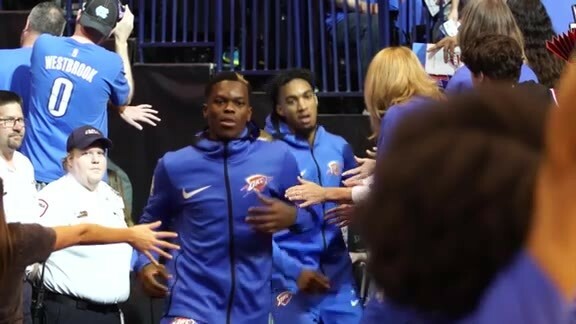 Few in the league play with as much passion, intensity and fire as the Thunder’s All-Star point guard, but Schröder and Felton provide a similar dynamic as the floor generals for the bench group. Felton and Westbrook built an incredible connection last season that helped shape the locker room. “That was so much fun, to be across, aside with another warrior,” Felton said. In his first season in Thunder blue, Felton played all 82 games, something he had only done one other time in his career. For the season he averaged 6.9 points, 2.5 assists and 1.9 rebounds per game, with less than a turnover per contest in 16.6 minutes per game. In fact, the wise ballhandler and playmaker finished 20th in the NBA last season in assist-to-turnover ratio. On top of that, Felton’s game has begun evolving towards current NBA trends. Last season he shot 35.2 percent from the three-point line, over two percentage points higher than his career average, and on more attempts. In fact, Felton’s 2.1 makes from behind the arc per 36 minutes was the most in his career. The timely shot-making, tenacious attitude and savvy on the floor has made Felton a fan favorite amongst Thunder fans. From a fit and feel, he seems right at home. Originally from the tiny South Carolina town of Latta, Felton clicked immediately in Oklahoma City. 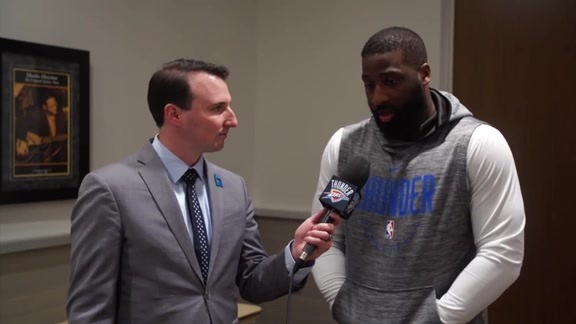 Sure, the downtown metro has blossomed over the past few years, but Felton found charm in the people he interacted with, and the fans who come down to Chesapeake Energy Arena and bring the juice the team needs every night. 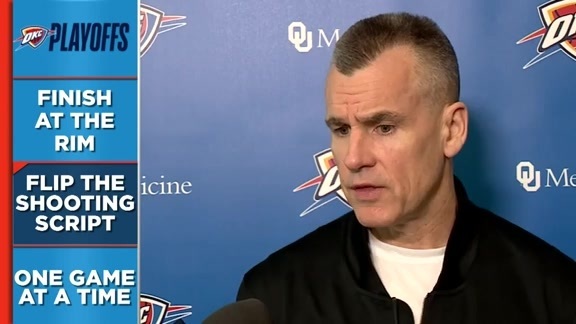 As many NBA players who joined the Thunder later in their career have expressed in the past, it’s the fan loyalty and support that has made the biggest impact on their experiences in OKC. Even with 3 a.m. and 4. a.m. arrivals, Okies wait patiently outside the private terminal at Will Rogers World Airport in the early morning frost for a glimpse of the team and a chance to applaud and show support. No matter if the team just won a crucial postseason-clinching game or came home with a playoff series loss. The Thunder faithful are there in full force, and Felton is still blown away.